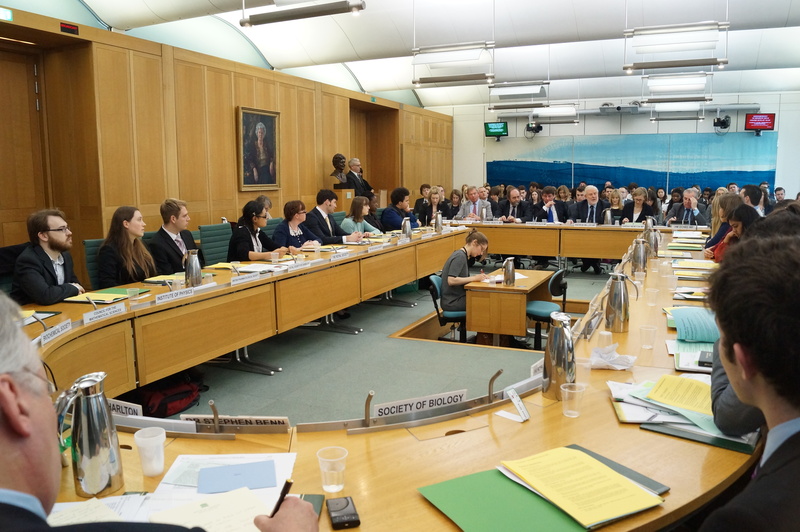 Last week on Wednesday the 19th March, I got the chance to attend an event called ‘Voice of the Future’ that allows early-career researchers and students to ask questions about science policy directly to the politicians who make the decisions. This event happens every year as a part of National Science and Engineering Week and draws student representatives of some of the largest scientific societies in Britain. 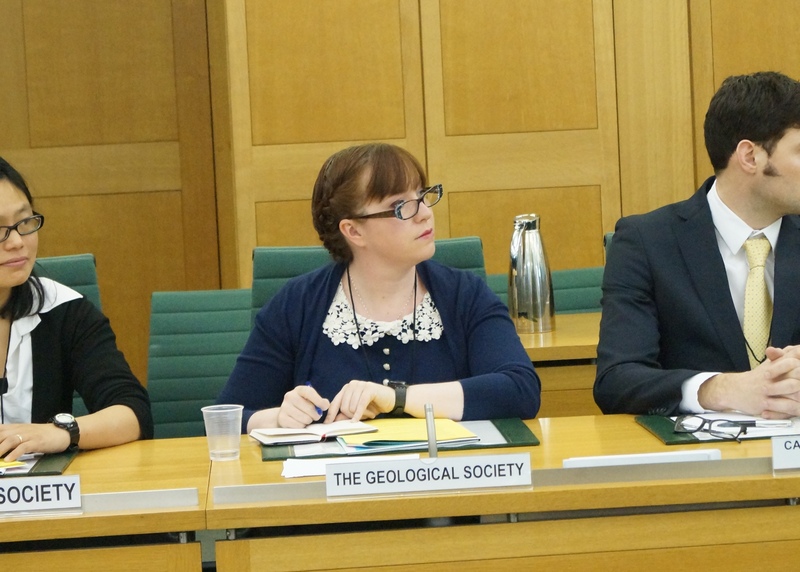 I was asked to be a representative for the Geological Society, and I couldn’t have been more excited! Especially as it seems like so much happens behind closed doors that the ‘air of mystery’ is more of a fog…! All those who attended had the opportunity to ask a question of the ‘witnesses’ (who would normally have been scientists, economists, etc; but this time were the politicians) and although there were far too many questions submitted than could possibly be asked, most of us at least got a chance to sit at the round table, just like in a real select committee meeting. One of the funny things was that you could be assigned a question asked by someone else, which was a little confusing, especially as you then didn’t necessarily know the background to the question. 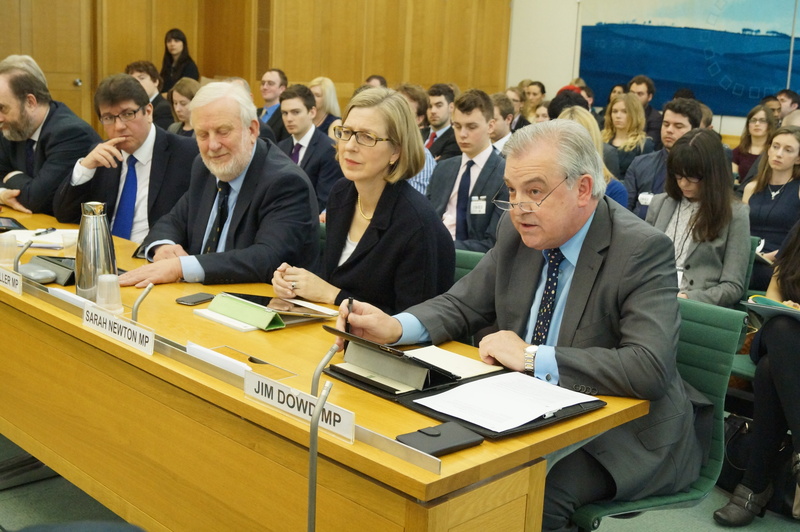 The questions ranged from public perceptions of scientists, to government funding, to evidence based policy making, and were split into four sessions, each with different witnesses. Set up just like a real Select Committee Meeting. 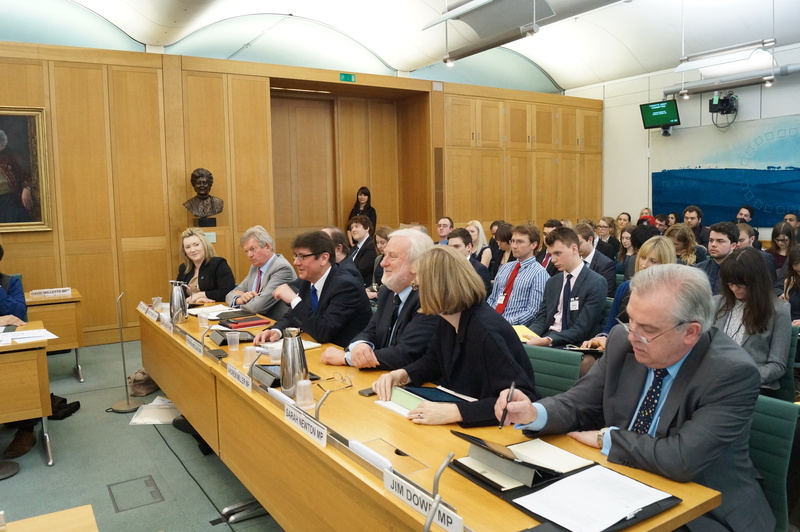 The meeting was chaired by Victoria Charlton, from the Select Committee for Science and Technology and the meeting was opened by the Speaker of the House of Commons: John Bercow. Mr Bercow started the meeting by welcoming all the participants, but saying that he had had no interest in science at school – that it frightened him. I’m always saddened when I hear of a subject frightening a person – when knowledge and curiosity are something that is scary; I feel that’s when something has gone really wrong in that person’s educational experience. However, he moved on to say that he now thinks science is an important part of a rounded education (which is true!). He also moved on to describe the two types of politician according to the late Tony Benn; signposts (who have a fixed opinion and never change it) and weathercocks (who have no opinion at all). I was a bit concerned that these were described as the only types of politician as I would much rather have a politician with an opinion, but who was willing to change it in the face of good evidence, but maybe that’s just me! He then proceeded to refer to the recently published Public Attitudes to Science (PAS) survey which highlighted that actually the public don’t seem to perceive science and scientists negatively at all – quite the opposite in fact! This kind of question was repeated in the second session as well, which led me to think firstly that maybe scientists have a defensive view of how we are perceived by the public and also possibly that not many of the question askers were aware of the PAS study (either the most recent one, or any of its previous versions) as this seemed an unusual point to be labouring. His answer to this was really interesting in my opinion, as he said that perhaps it wasn’t that the media was dangerously irresponsible, but more ‘dangerously variable’. That we can’t think of the media as a single element, and that some reporters work hard and are very effective. He also noted that it ‘takes two to tango’ that scientists must not ‘over claim’ and beware of their data being sensationalised. The answers were varied and interesting, from room temperature superconductivity, issues around resistance to antibiotics and deep space exploration. David Tredinnick suggested electricity transmitted ‘through the ether’, and whilst David Heath initially plugged for supermarket packaging that you could actually open, he actually wanted to see medical tri-corders invented (extra points for the Star Trek reference). Stephen Metcalfe wanted a better understanding of the origins of disease and Andrew Miller finished with a big picture wish – to better learn how to manage the limited resources of our planet. Jim Dowd wants room temperature superconductivity developed. Mr Byrnes answer was yes, as he understood now that in some fields in order to distinguish yourself you need to have postgraduate study, and that we cannot leave our workforce’s career development in the hands of the large banking corporations. 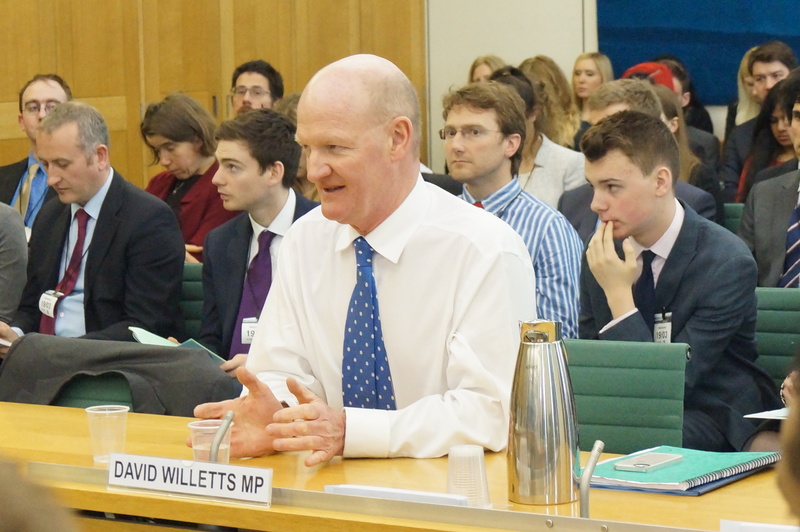 The fourth session was attended by David Willetts, the Minister for Universities and Science – who was late. When he did arrive, he was quite short with his answers (and I understand that it was Budget Day, but a) I think that applied to everyone else as well and b) if he was too busy he should have just said no), but answered on the topics of science teachers, the focus of funding research, the privatisation of NERC research centres, encouraging diversity, development of space technology, immigration and the skilled researcher brain drain. 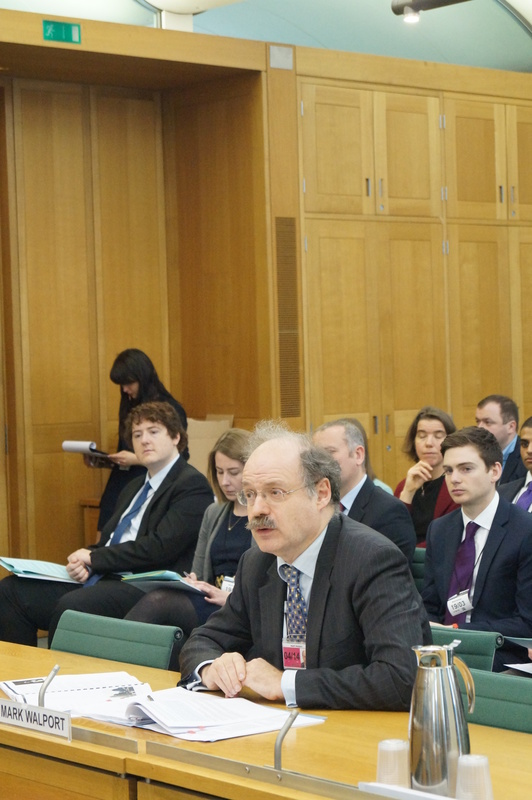 The meeting was concluded by Andrew Miller saying that whilst the meeting was a good start, it was incumbent upon us to keep in contact – tell our MP’s about our research, send in evidence for consideration and to keep talking about policy that we value. “We need your help” he said, and of course, he is right. So I know this was a long post, but I think it was worth it. The photographs were used by kind permission of the Society of Biology (contact Dr Rebecca Nesbit) and if you want to see the meeting, the video of the session is avalible here.